Edward Byrom Elementary students file past the salad bar to line up at a hot lunch window. An adult helps them find their picture on a computer touch screen. A simple tap and they are off to enjoy lunch with friends. Nobody asks for money. In accordance with state law passed in 2017, nobody checks whether they are on a free or reduced-priced meal program or whether their meal account is overdrawn. The students eat, and the Tigard-Tualatin School District adults will figure out later which parents need to be nudged to pay for meals. The 2017 law, designed to ensure that students aren’t stigmatized about being able to afford nutritious meals, has had a giant unforeseen consequence here and across Oregon: soaring unpaid meal balances. The Oregon Association of School Business Officials has found that through December more than three dozen districts, representing about 175,000 students, had incurred $1.3 million in unpaid balances. Tigard-Tualatin is among those feeling the effects of House Bill 3454, known as the “lunch shaming” bill. The district’s unpaid student meal debt climbed from nearly zero to $45,000 for the 2017-18 school year and had reached $83,450 for this school year by the end of January, according to Chief Financial Officer David Moore. That doesn’t include additional staff time and costs as the district tries to collect from parents. The law requires any school that participates in the federal National School Lunch or School Breakfast programs provide a meal to any student who asks; the school cannot ask the student for payment. It also forbids schools from stigmatizing children or calling attention to their status in any way, such as stamping the hand of students who get free meals or giving a less-expensive alternative meal to a student who owes lunch money. Everyone agrees that well-fed students learn better, but the bill, which took effect last school year, has shifted some of the meal payment burden onto schools. OASBO President-elect Nathan Roedel, who is the Hillsboro School District’s nutrition director, said the loss of communication with students has hobbled districts. Young children might even have the money in their pocket or backpack, but lunch staff can’t ask for it, he said. Often, families who aren’t paying lunch fees are also those who are not closely connected with the school, and students provide the only lines of communication. Districts have little recourse under the law. They can’t impose consequences on the student, and they can’t charge parents fees for collecting the money. Districts reported to OASBO that lunch debts are climbing as some families realize they can’t be forced to pay. Hillsboro rolled about $30,000 in debt for current students into this school year, according to Roedel. Before the law, the district typically ended the school year with about $1,000 in unpaid bills. About 98 percent of Oregon public schools participate in the federal food programs. They provide free meals for students in families with incomes below 130 percent of the poverty level and reduced-price meals for families with incomes below 185 percent of the poverty level. The number of district students enrolled in the federal programs is falling, said Tigard-Tualatin’s Moore. District officials suspect many of those families still need support but no longer feel as if they must enroll in the programs to receive meals. Unless the families enroll, though, the district cannot tap into federal funds to help. 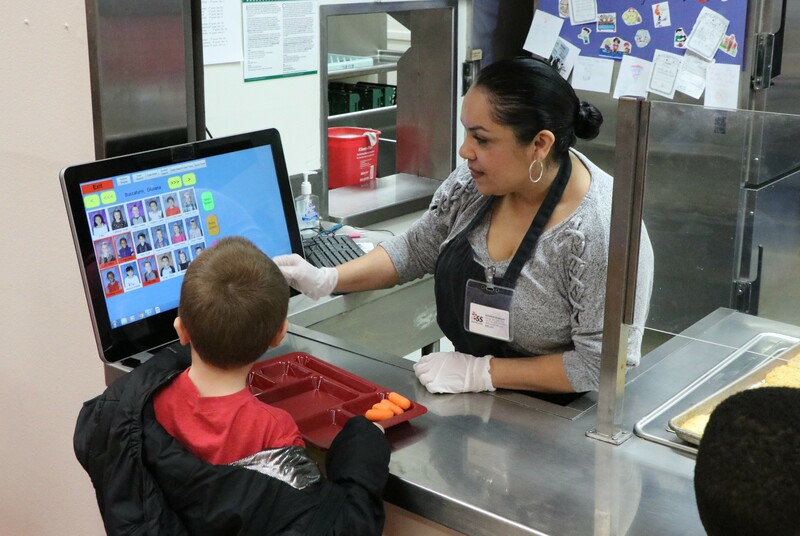 Superintendent Sue Rieke-Smith said Tigard-Tualatin supports the law’s intentions because “full bellies make for good learning” but said the state needs to give schools more leverage to collect unpaid bills or to provide school funding for the meals. Rieke-Smith would like to see some mechanism to compel at least a conversation with parents, similar to how districts address absenteeism, so that the school can connect with families and help them access support if necessary. Rep. Mike McLane, R-Powell Butte, was one of HB 3454’s chief sponsors. He said he is open to changes but adamant that students not be shamed or used as leverage. Rep. Margaret Doherty, D-Tigard, has several bills addressing school meals, including House Bill 2759 and HB 2761 to reimburse schools for meals required by state law. OSBA supports the bills, but they have not been scheduled for a hearing. The Confederation of Oregon School Administrators is seeking $2 million with the legislation to help cover lunch costs, according to Morgan Allen, deputy executive director of policy and advocacy. Doherty, who was a teacher, considers school meals a priority. She has sponsored House Bill 2760, which would pay for breakfast and lunch for all students. The bill has been referred to the Joint Committee on Student Success, but Doherty expects that the cost of paying for all student meals would be so high as to make her bill’s passage unlikely. “In my ideal world, kids wouldn’t have to pay for lunch or breakfast ever,” she said.